During the first hour we will speak with Ms. Jerroll Sanders, President, ONUS, Inc. ONUS, Inc., is calling upon families all across America who have been victimized by police to join with us to “Strip Law Enforcement of Unbridled Power!” The “Strip Law Enforcement of Unbridled Power!” marketing campaign will educate the public about The Uniform Reporting Law Enforcement Improvement Act (URLEIA). The marketing campaign will also enlist victims of police brutality and people across the nation in a far-reaching marketing effort to ensure congressional leaders adopt and enact URLEIA. ONUS expects that URLEIA will be highly contested by powerful police unions and fraternal orders. If you want to stop police brutality, get involved. After we speak with Ms. Sanders, we invite callers to share their thoughts and experiences of the Justice or Else rally held over the weekend. 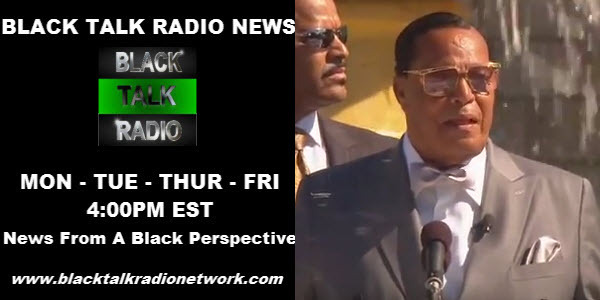 Lets also review Minister Farrakhan’s speech which lasted over two hours and see what useful information can be gleaned. Today will be part 1 since we can not possibly the entirety of his speech in the limited time we have.